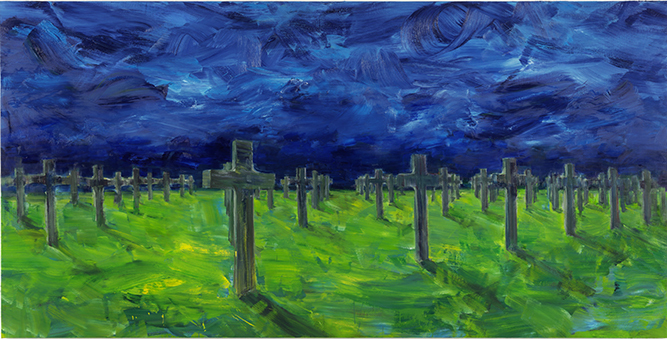 From 20 September 2014 to 17 May 2015, the Fondation Vincent van Gogh Arles held two new exhibtions – Yan Pei-Ming’s “Night of Colours” and Bertrand Lavier’s “L’affaire tournesols” [The tournesols/sunflowers affair] – with Vincent van Gogh’s painting Self-portrait with Pipe and Straw Hat, 1887. Born in 1960 in Shanghai, Yan Pei-Ming arrived in France in 1980. At that time, the diaspora of artists fleeing China, where the theory of Socialist Realism reigned, separated into two groups. The first installed itself provisionally in New York; while the other – which included prominent individuals such as Chen Zhen, Huang Yong Ping, Wang Du and Yan Pei-Ming – reassembled permanently in Paris. 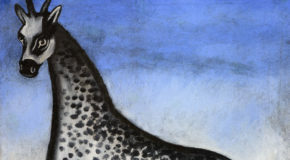 In 2005 Yan Pei-Ming’s native city devoted a major one-man show to the artist, who has established himself in the West as one of the leading painters of his generation. 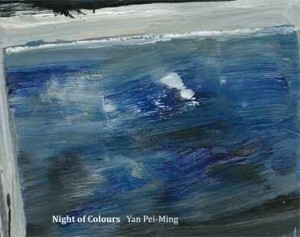 Yan Pei-Ming’s art is that of a “moderniser”. Secular, outside ideology, the brush in his hand extends, with its speed of execution, what Romantic painting in the first half of the 19th century had imagined but was unable to turn fully into reality: namely that the saturation of the picture should overtake the subject in terms of priority. Romanticism’s partial failure nevertheless left the door open, from around 1870 onwards, for another solution that was long considered more radical, namely the gradual disappearance of the subject altogether – a development that would sanction the birth of abstraction after 1910. 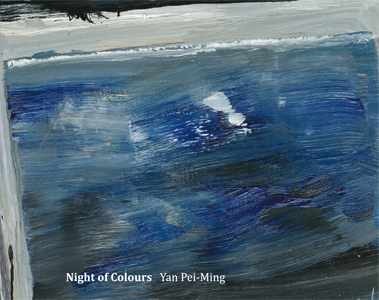 Yan Pei-Ming’s exhibition at the Fondation evokes the melodic qualities of a nocturne . 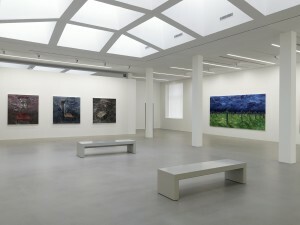 Just as Arles – from the narrowness of the artist’s bedroom to the infinite breadth of the starry night sky – constituted the matrix of an exceptional artistic moment for Vincent van Gogh, so in the visual narratives by Yan Pei-Ming the (hi)story painter, it is the World itself, brought so close by the circulation of information. In a new departure within Yan Pei-Ming’s painting, which is usually determined by black and white, we now see colours insinuating themselves into the artist’s palette. These colours render his compositions iridescent or take possession of them, yet without ever diminishing their power to evoke the fears aroused by darkness and night. Suddenly, the artist’s work is taking its due share of colour and fully espouses its subjectivity. It is as if – in order to make room for the presences and events that it is constantly energizing and so allow them to flourish – Yan Pei-Ming’s painting had created the approximate conditions for a ritual of exorcism. That of the spectres and demons that are released, whatever we may think and do, by the inescapable patronage of this exhibition by the Dutch painter suicidé. Yan Pei-Ming (born in Shanghai in 1960) grew up in the civil war atmosphere of the end of the Cultural Revolution. He arrived in France in the early 1980’s and settled in Dijon, where he studied at the School of Fine Arts, then at the Institut des hautes études en arts plastiques in Paris. Yan Pei-Ming is known for his huge dichromatic portraits painted with sweeping brush strokes, often saturated with black, white and sometimes red. As a portraitist interested in current affairs, he paints in close-up the faces of popular and political figures such as Chairman Mao and Barack Obama, while also making more intimate portraits.